In September 2016, on a chilly afternoon, in the midst of a heartbreaking divorce, I visited a small animal shelter in the heart of the Adirondacks, in upstate New York. It was here that I took the plunge and rescued a precious southern mutt, whom I appropriately named "Hope." Little did I know, that this small, lovable pup... would in return RESCUE me and bring HOPE back into my life. Life with Hope opened new doors for me in so many ways. Loving her and having her love in return, helped me learn how to love myself again. You see, Hope gave me purpose, responsibility, and structure. A reason to get out of the bed in the morning and a natural way to meet people - she is so darn cute! Relatively new to the downtown Greenwich community and living in an apartment complex without a dog run, I was eager to find a dog park for her to socialize with fellow dogs and get the exercise I knew she needed. After searching online for nearby parks and resources for pet owners, I quickly realized there was little to no information - which was frustrating. I also found that there was only ONE legal off-leash area in all of Greenwich - Grass Island Dog Park, which had number of negative reviews from resident dog owners. Following my first "less-than positive" experience at the Dog Park (read my op-ed here) I knew I had to do something to help revitalize the park that Hope would soon call home. A thriving social community, the park is frequented daily by dozens of active dog, their owners, walkers and sitters. A melting pot of all different backgrounds, these passionate dog lovers come together each day to celebrate the love for their dogs. This community welcomed me with open "paws" and I am grateful to call many of the dog walkers, owners and their pups my friends. After frequenting the park daily, and speaking to visitors about issues and concerns related to the park - location on a landfill, odor from the water treatment plant, glass and metal, dirt and mud, broken fences, overall appearance, etc. I leveraged my marketing skills and launched a Facebook Group page which quickly grew. In April 2016 I officially launched PAWS of Greenwich as a non-profit and had our first event - a Spring Spruce Up at the dog park. Today, PAWS is a thriving social community and pet owner resource. Our circle is actively involved in volunteering, maintaining the Grass Island Dog Park, promoting responsible pet ownership, partnering with area rescues and shelters, lobbying for dog walker rights, promoting adoptable pets, fostering, spay/neuter and much more. 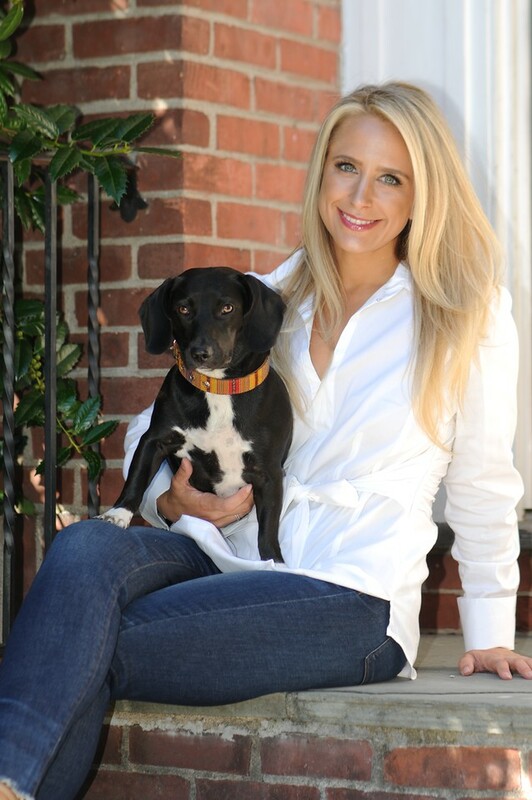 It is my passion to work with the Town of Greenwich, residents and pet owners to promote the love and value that pets bring to our lives and our communities.